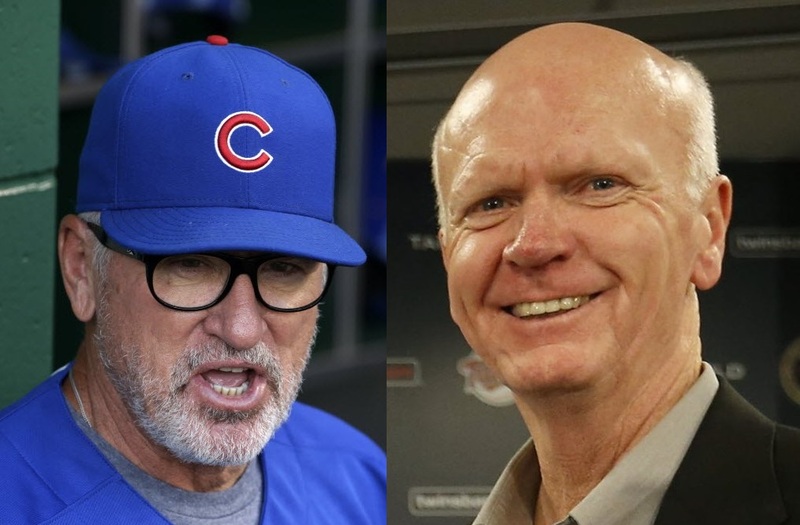 In the wake of Terry Ryan being fired Monday, Cubs manager Joe Maddon talked about when he interviewed by Ryan when the Twins managing job was open in 2014. The Chicago Tribune has an interesting piece up, talking to Cubs manager Joe Maddon about his interview with former Twins GM Terry Ryan in 2014 as part of Minnesota’s managerial search. It has been reported in the past the two sides met, though I’ve never really seen any details on exactly what transpired — until now. Maddon, of course, ended up taking the Cubs job while the Twins hired Paul Molitor. In the wake of Ryan being fired Monday, Maddon discussed how the meeting went, with some interesting quotes from Maddon that will pique the interests of Twins fans. That speaks to Ryan’s presence and humanity — but also his baseball approach. That must have been a change for Maddon — who was coming from Tampa Bay, which uses sabermetrics arguably as much as any team in baseball, while the Twins (at least at the time) lagged in that department, per this item from 2014. While it’s oversimplifying things to say Ryan lost his job because he didn’t embrace change, Maddon’s take also isn’t wrong.